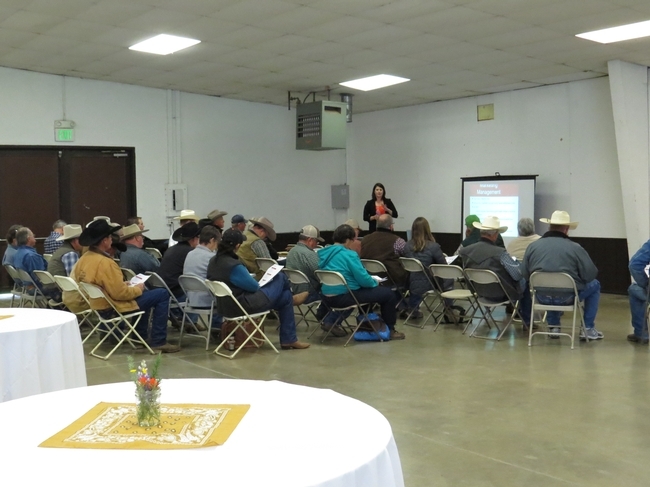 Did you miss today's Beef Quality Assurance (BQA) certification event at the Monterey County Cattlemen's Association's Spring Meeting? Don't worry - from now through April 15 you can get certified for free at the BQA website! - Castrate male calves before they reach 300 pounds and before they are 3 months old. - Make sure to store vaccines at between 35 - 45 degrees F.
- Only mix the amount of vaccine that you will use in 1 hour. - Hot water (more than 212 degrees F) should be used to clean syringes. If you are using a modified live vaccine, soap and disinfectant can kill it. - When giving injections, if you bend a needle get rid of it and get a new one. Don't try to fix and reuse bent needles. - With normal use, needles should be replaced after every 10 animals. - Intramuscular injections should only be given in the neck. - Subcutaneous injections can be given in the neck, dewlap, or elbow pocket. - It's interesting to know why some drugs are subcutaneous and some are intramuscular. Time released drugs last longer and are given subcutaneously. For drugs that are not time released, and you want a fast reaction, those are intramuscular. 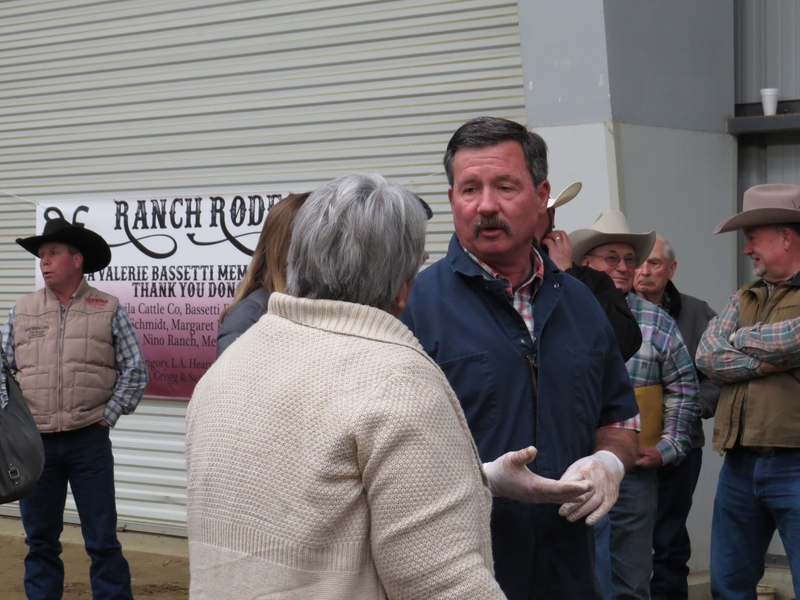 - Because of the Beef Quality Assurance program, livestock producers from all over the country are learning the same things from the experts, so everyone is doing it and doing it right. Scott Violini and Shirley Rasmussen receive Cattleman/Cattlewoman of the Year awards! - Vaccines, even as little as 10 cc, can travel in the muscles and tissue more than 1 foot from the injection site. What's your most important BQA tip? Let us know. Leave a comment at the bottom of this blog post so we can all help each other remember the important things. While your at it, check out the Monterey County Cattlemen's new website created by Monterey County local Celeste Settrini. 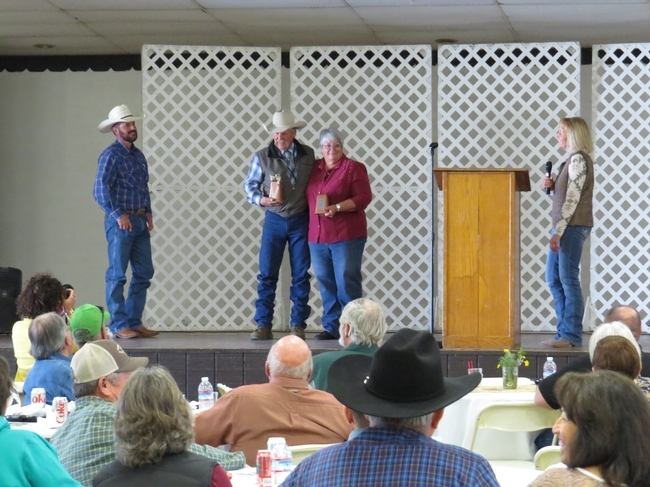 The last thing I want say is Scott Violini received the Monterey County Cattleman of the Year award and Shirley Rasmussen received the Monterey County Cattlewoman of the Year award! Congratulations Scott and Shirley!